This month, Arab Academy is featuring Joanna Maddocks from the United Kingdom. 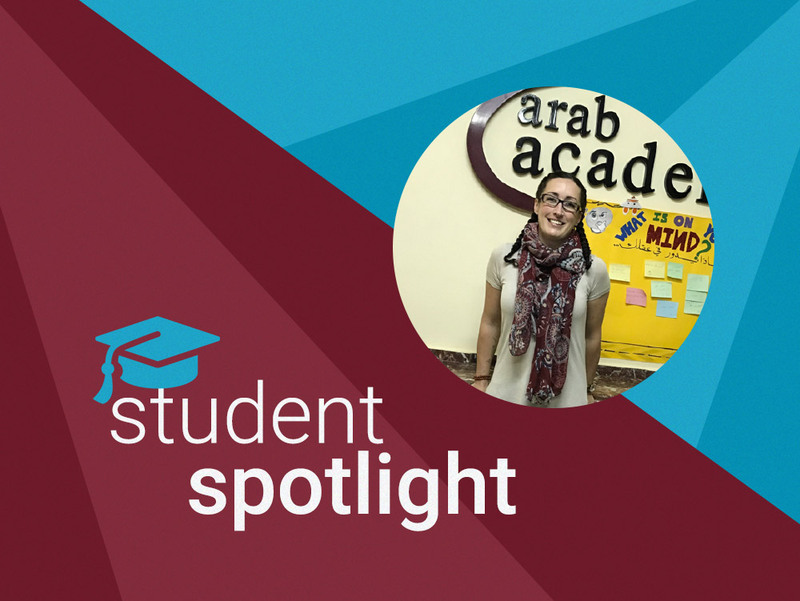 Joanna has been studying online with Arab Academy for 15 months, and has joined our classroom program in Cairo for a month. Read on to hear about Joanna Maddocks ’s experience learning Arabic. I enjoy learning languages. I’d also like to use Arabic in my work in the future. I liked the format of the online program. I also like that speaking lessons via zoom are included and feedback on written work, most other online programs I have seen do not offer that. Its keeping me very busy . Its given me more confidence in Arabic and more knowledge on cultural topics in Egypt. Speaking lessons, feedback on written work, fast responses to emails. All in all, Arab Academy offers great student support. It would definitely tell them to try the online program / visit Arab Academy in Cairo.